There&apos;s a lot of reasons to celebrate Manchester&apos;s music scene. The city&apos;s had a massive pool of creative talent pretty much since the dawn of time, and now it seems better than ever. One of the main reasons for that is the expansive LEVELZ family, a collective once described as "the Wu-Tang Clan meets the Happy Mondays." 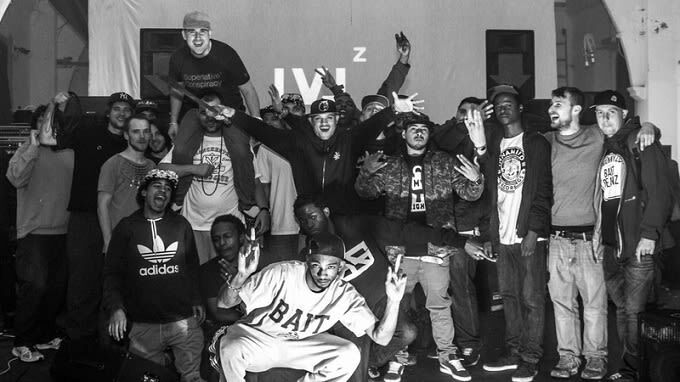 The core LEVELZ team, if you didn&apos;t already know, includes Biome, Black Josh, Bricks, Chimpo, Chunky, Dub Phizix, Fox, Jonny Dub, Metrodome, Rich Reason, Skittles, Sparkz, Truthos Mufasa and T-Man, as well as a slew of friends and supporting artists—many of whom are multi-disciplined artists who produce, DJ and rap. For this new mix—which comes ahead of their show at Shapes in Hackney, London this Friday, Bricks goes yet further to shake off the shackles of hip-hop and grime that are so often attached to the collective. We get reggae, rock, soul, funk, hip-hop, breaks—everything! Even your mum could shake a leg to this one.